Happy New Month!!! It’s February and the days are getting longer. I know it’s not true but I feel as if spring is round the corner. Still on winter sewing mode though. Part of my sewing plans this year is to repurpose some of the clothes that they are in good condition, fabric-wise, but I no longer wear, either because I’m bored of them or because they no longer work for me. I bought this jumper a couple of years ago and the first year I wore it very often, but then I somehow grew out of it. The sleeves were too wide, but not long enough, so I was cold. If you tried to wear a more fitted coat over it, it would end up with wrinkles and the loose knitting didn’t protect from winter weather at all, so I always had to wear something else underneath. I still liked the colour though, so I was keeping it in my wardrobe for repurposing or for sending to charity. 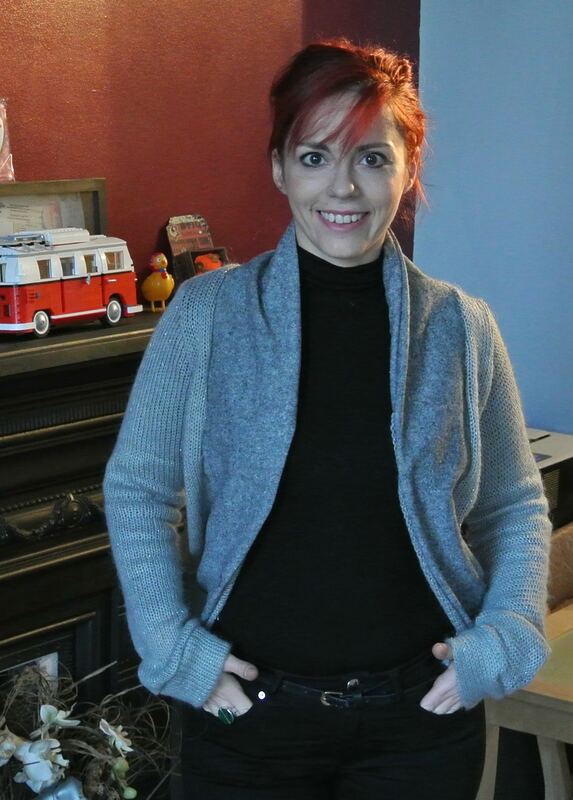 I had the Julia Cardigan in my patterns since I bought it with the perfect parcel but didn’t have the right fabric for it. And then I remembered the old jumper in my wardrobe. Always optimistic, I thought the jumper was big enough to accommodate for this pattern and as usual I was wrong. For the collar I used the remains of an old woollen skirt, that was donated to me by my previous boss, before she left the company. The good thing with people knowing you make things is that they will usually give you their unwanted fabric or old clothes, before they take them anywhere else haha!! As you can see there is a seam in the middle of one of the sleeves. as there wasn’t enough fabric for a whole one, so I had to divide it into two. I don’t think it’s noticeable and I certainly don’t mind. Because the collar lacks the elasticity of the rest of the fabric, it doesn’t stretch in the back but I like so much the effect the it creates that again I don’t mind at all. And there’s no seam on this sleeve. I can see my belly making an appearance in this picture. January being so cold and dark didn’t help at all with my diet. 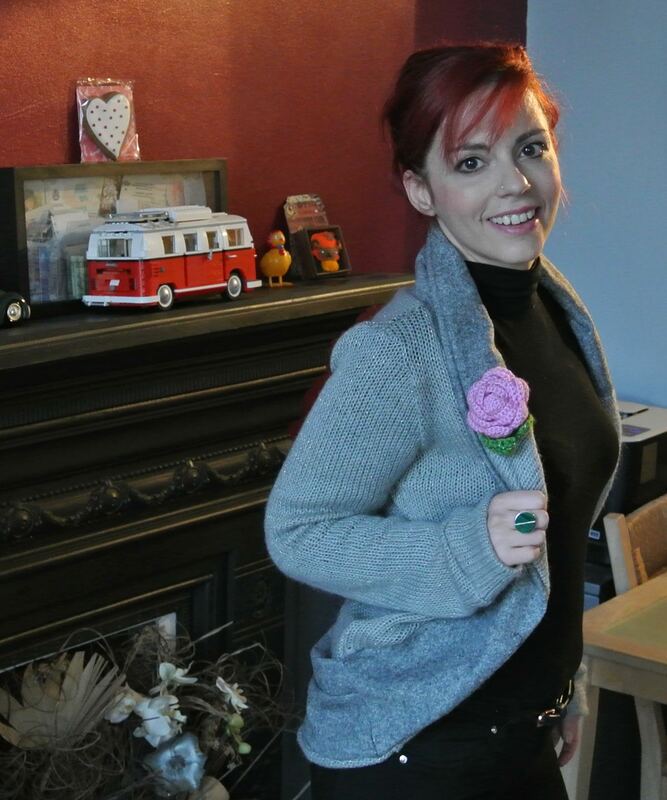 The rose brooch is also handmade, a gift from a friend in Greece, who didn’t help with my latest crochet addiction. Here you can see both sleeves. They turned out a bit too long, the excess is noticeable, but as I like puling sleeves over my always cold hands, I didn’t think it necessary to shorten. Who needs gloves when they have sleeves? I can hear my mum looking at me with disapproval, haha, she used to tell me every day to stop pulling my sleeves during winter when I was a kid. All of it was done on the serger using black thread as this is all I had, you can’t really see it on the outside. Here is the cardigan with the full collar and my long sleeves, haha!! Plus my face, really frozen smile. I’d definitely recommend the pattern, it’s very easy to make on the serger or on a sewing machine. I’d like to make it again maybe lengthen it a bit and grade it to a larger size at the hips, a lot of possibilities for colour combinations too. I wonder whether it would work with a drapey fabric, with no stretch, a bit kimono like. 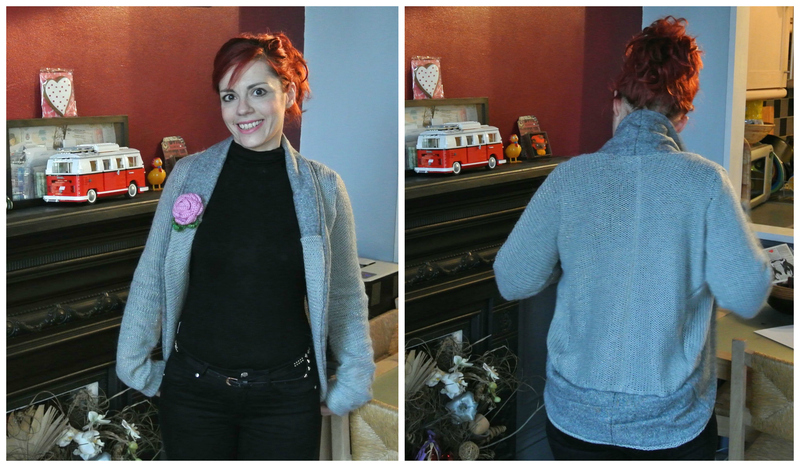 Have you sewn the Julia Cardigan? What did you think? And have you repurposed anything lately? This entry was posted in sewing and tagged handmade, julia cardigan, mouse house creations, remade, sewing, Upcycling. Bookmark the permalink. What a great, upcycling project 🙂 looks lovely and snug! Ahh I love a good upcycle! It looks fab now, I’m so happy your old jumper has a new lease of life! 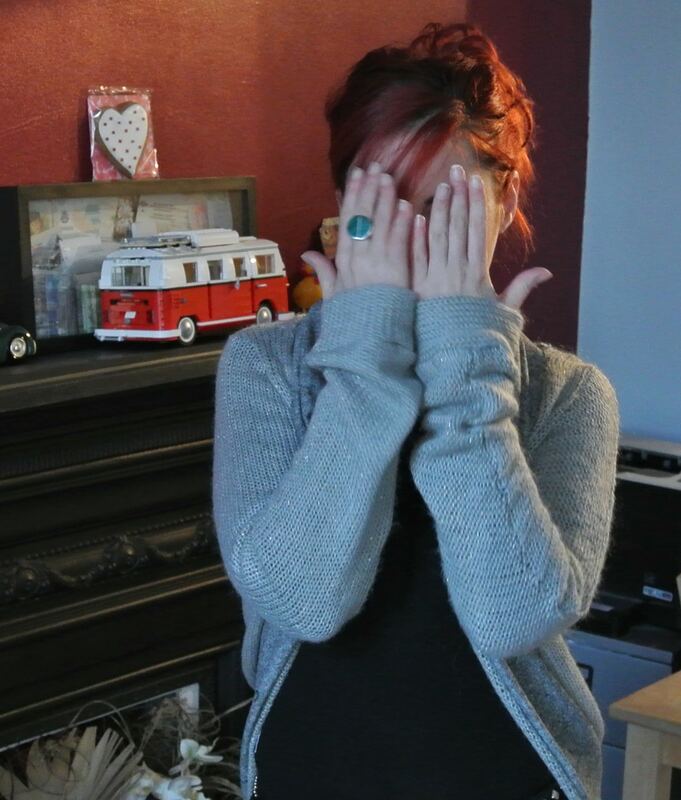 I also love long sleeves, they are often too short (in my opinion, because I want them mega long) in the shops! So I’d love your cardi! Haha glad to hear someone else likes long sleeves too! I’m happy too the old jumper is being worn again! Thank you. Isn’t it wonderful to be able to sew? Turning something old into a new garment is a very creative way to use your sewing skills. I’ve used a couple of times my old clothes as muslin fabrics for tops. Yes I think that’s the beauty of the craft! Also if it turns out well it’s great if not, you haven’t lost much! I think repurposing is great! Glad you like your new cardigan! 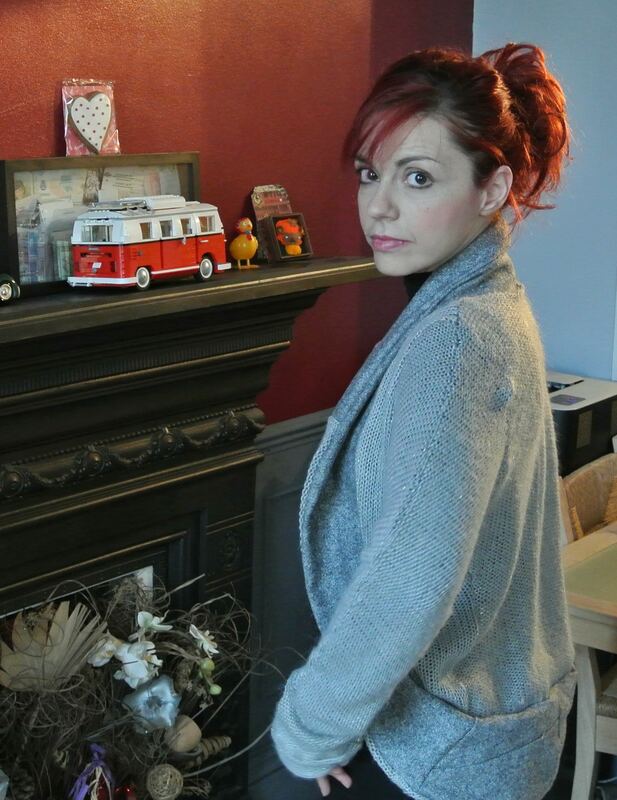 this cardi looks fab! so warm for this cold spell 🙂 I’m actually cutting out the pattern right now so quite glad I have seen how it turns out – glad the sleeves turn out really long! Thank you and glad it was useful to see the looong sleeves! Looking forward to seeing yours too! What an awesome project! It turned out so good. 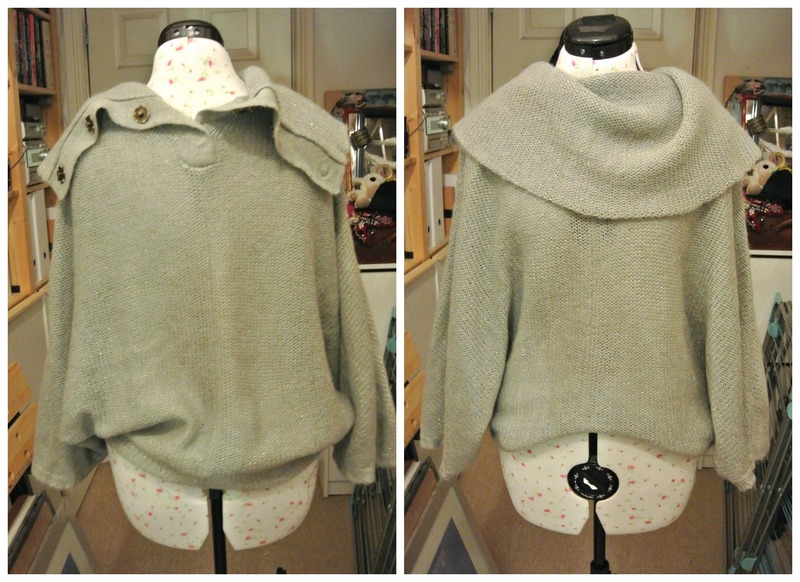 I am really impressed and I am now starting to think if I have any old slouchy jumpers to upcycle to Julia cardi. 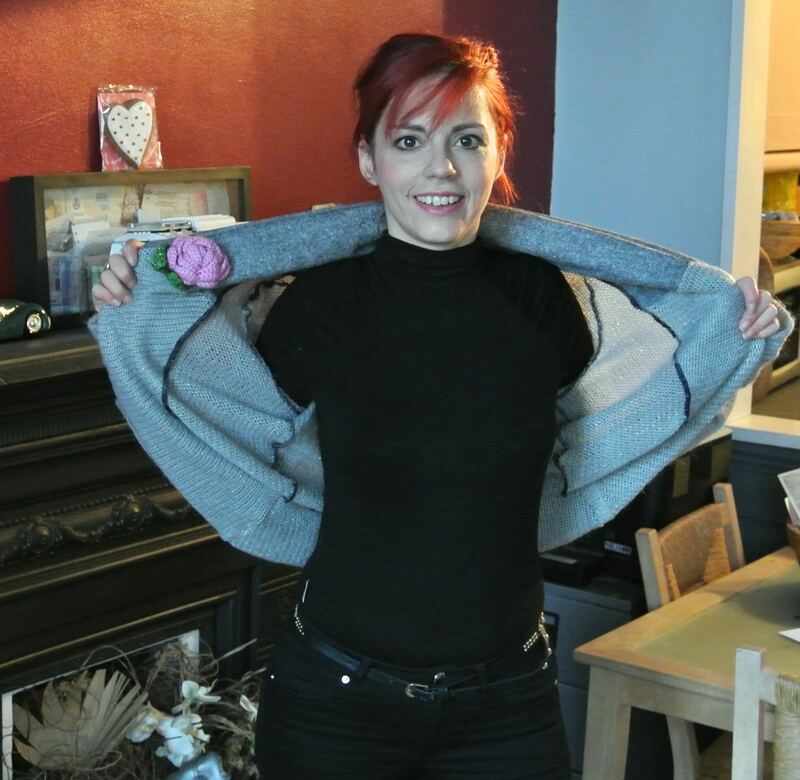 Thank you, I’m glad you found it useful, if you have an oversized jumper it would be perfect for it. Good luck!